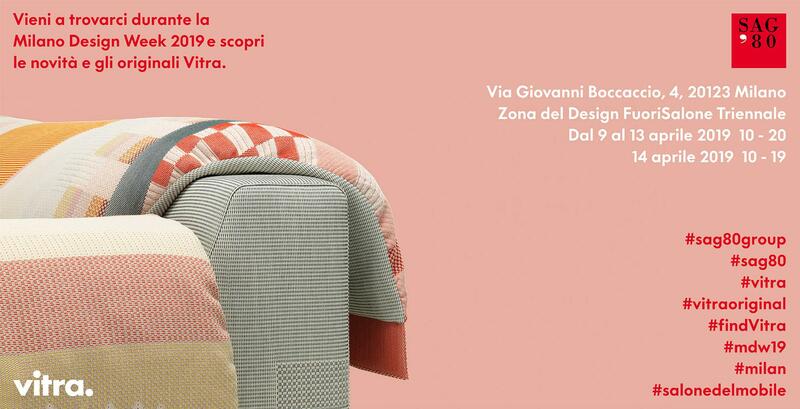 Discover Vitra Exhibition in Milan for Fuorisalone 2019, all at Sag80! 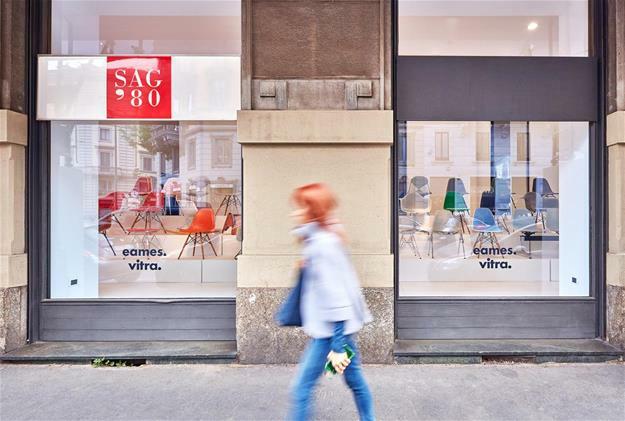 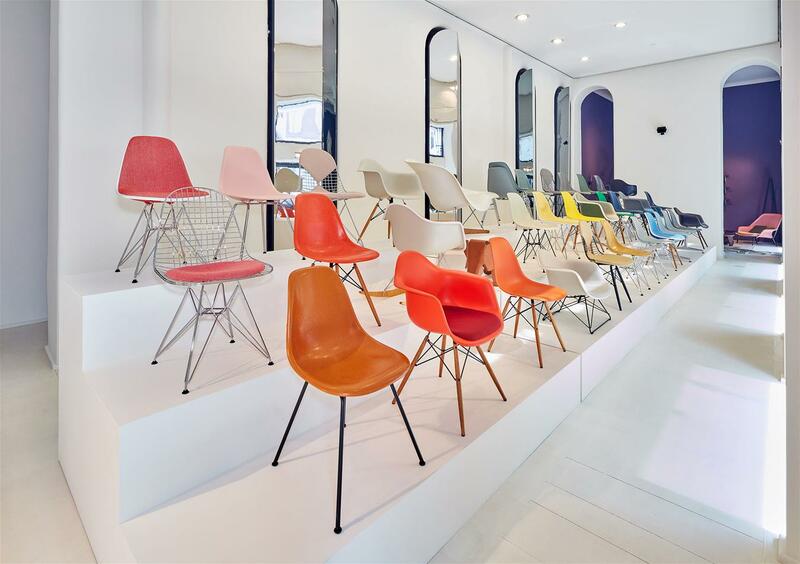 During the 2019 Fuorisalone the historic Sag80 showroom will turn into a great tribute to Vitra design. For the occasion, three different areas will be reconstructed within the exhibition space that will present to the public atmospheres with a new and sophisticated design. 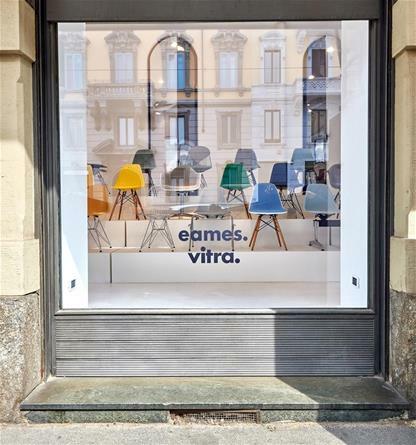 The latest Vitra news, on show at Milan Design Week 2019, will be presented to the public in a design installation whose purpose is to recreate an authentic Vitra experience: high-level design with attention to every detail, from the colors of the walls to the plants on display. 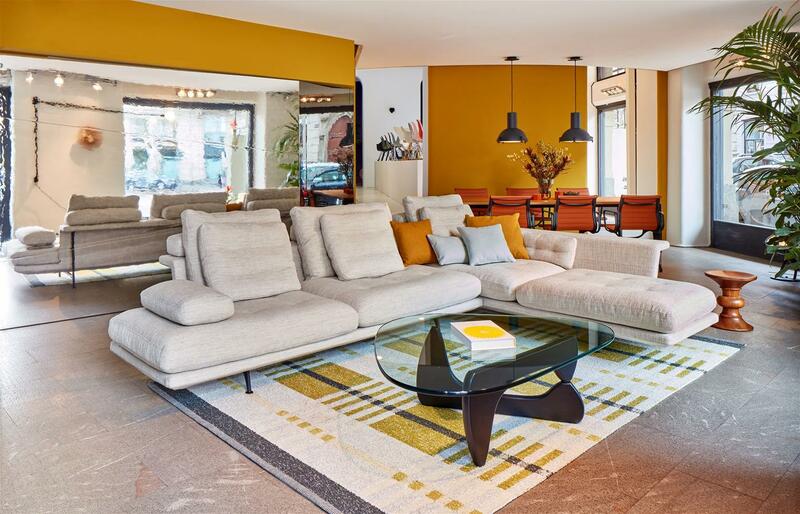 At the entrance, the visitor is greeted with a living room whose undisputed protagonist is the Grand Sofà sofa by Antonio Citterio, presented in a white-upholstered version: a cloud of softness that stands out among exotic plants and floor lamps. 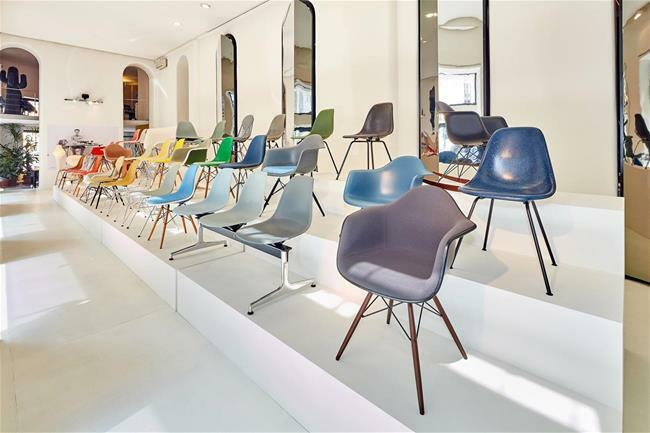 Even from this first space, Vitra surprises with touches of particular originality and creativity, exploring new solutions with a contemporary domestic flavor. 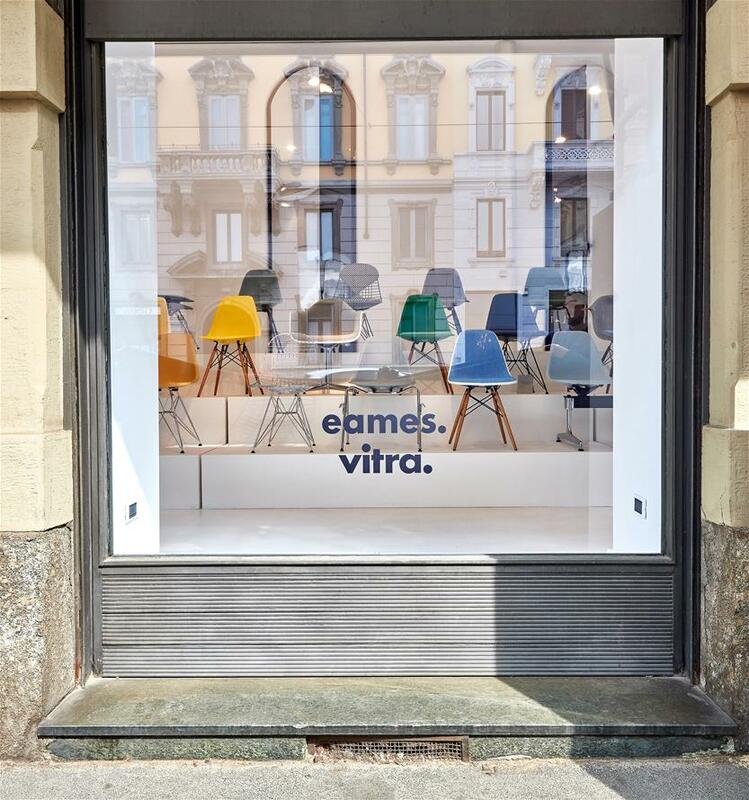 In the central section, the layout continues with a large room that immediately surprises the visitor with its height and its architectural structure: the Vitra exhibition Fuorisalone 2019 is dominated by a podium installation dedicated to one of the greatest icons of contemporary design, the Eames Plastic Chair (EPC) and the Eames Fiberglass Chair (EFC), presented for the occasion with new colors never seen before! 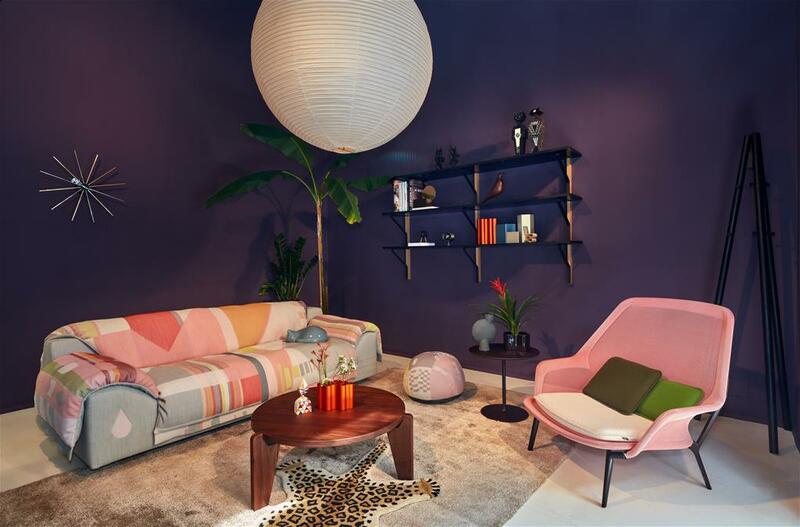 Finally, we are guided into a space entirely dedicated to the new Vlinder sofa by Hella Jongerios, positioned in a living room with walls decorated with wallpaper with geometric designs whose ocher shades bring out the coloring of the upholstery. The atmosphere offered by the other designer furnishings placed around the side offers the observer all the conviviality of the Vlinder sofa, recreating a warm and welcoming living space. 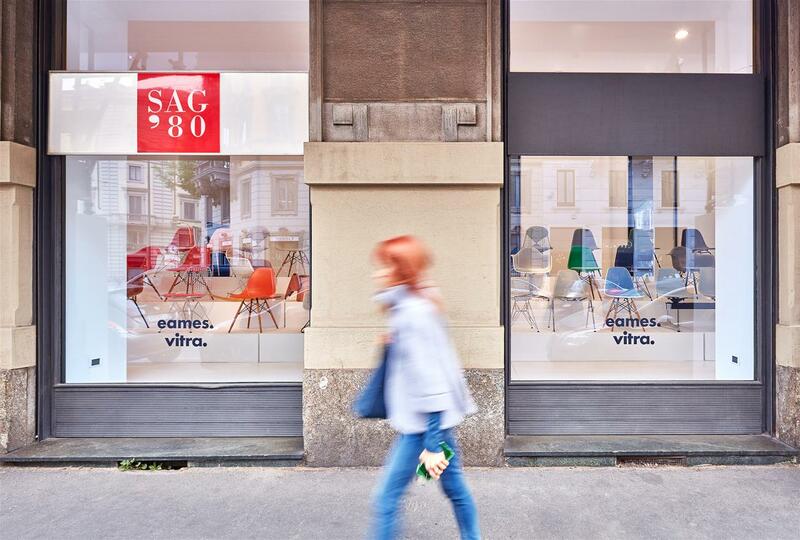 Refined design, exclusive installations, and novelties to be discovered: this is what awaits you at Sag80 in the heart of Milan, during the week of Salone del Mobile 2019!